Doolin, nestled on the Atlantic Coast in northern County Clare, Ireland, has a disproportionate allure for a small, seemingly obscure village with a population of only five hundred residents. Narrow country roads carve the landscape through rolling green pastures dotted with livestock and outlined by stone walls, with the rugged coast off in the distance. Good fortune finds the traveler who stops to appreciate the true character and power of Doolin. The region is a destination for outdoor enthusiasts who come for activities that include rock climbing, caving, fishing, hiking and mountain biking. The town is doorway to the breathtaking beauty of the limestone landscape of The Burren and its access to the sea makes it an easy boat ride to the Aran Islands and to view the Cliffs of Moher towering 702 feet out of the ocean. Doolin has earned the reputation as the unofficial capital of traditional Irish music. The town has several arts and craft shops, perhaps the most popular the Traditional Music Shop that stocks books, sheet music, tutorials and locally made and restored instruments including the bodhran, flute, concertina, fiddle, guitar, harmonica, tambourine, bone, spoon and harp. The quaint, unassuming music shop ships instruments around the world. 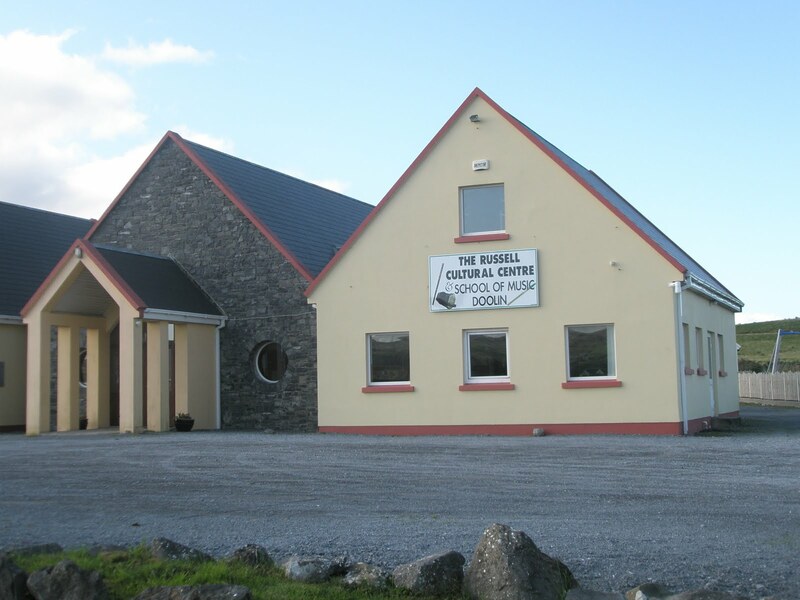 The town is also home to The Russell Cultural Center School of Music, Doolin. Each year during the last full weekend in February, Doolin hosts the Russell Memorial Weekend music festival in memory of Richo Russell, a world-renown whistle player and one of Ireland’s best-known traditional Irish musicians. Richo came from a musical family with two brothers and mother also musicians. The festival has been held every year since his death in 1994. 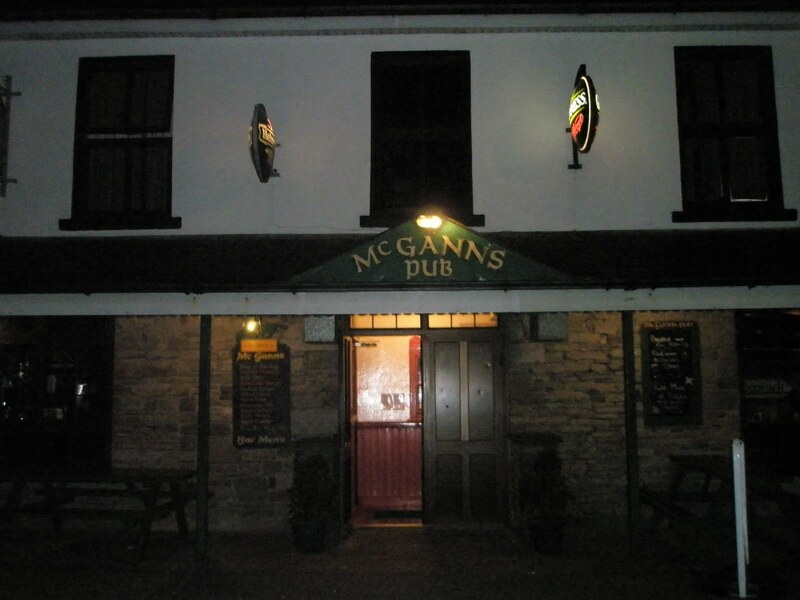 Three pubs in Doolin feature traditional Irish music year round: McGann’s, Gus O’Connor’s and McDermott’s. 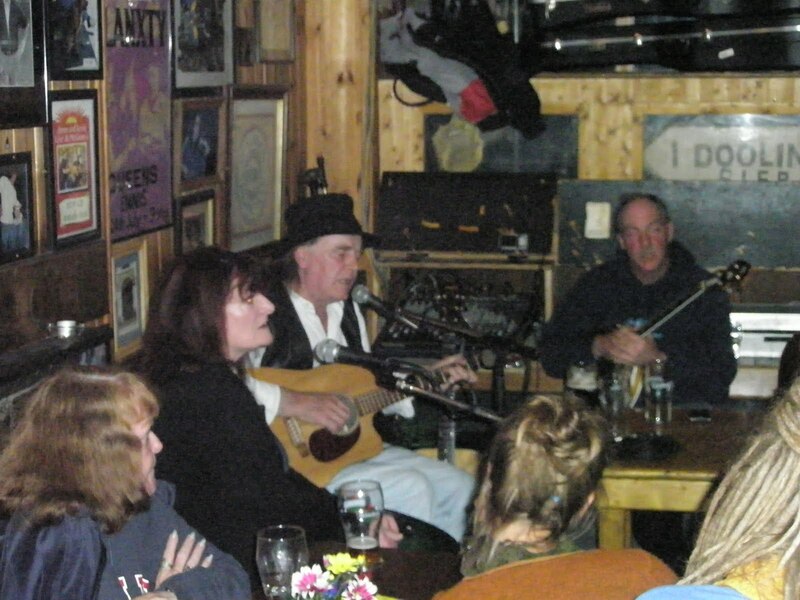 Many musicians, some well-known, visit Doolin to join a session at one of the pubs. A session is an informal and unrehearsed gathering of traditional music players made up of different musicians and instruments on any particular occasion. Each session has a uniqueness of its own that sparks spontaneous singing, dancing and the flow of Guinness. 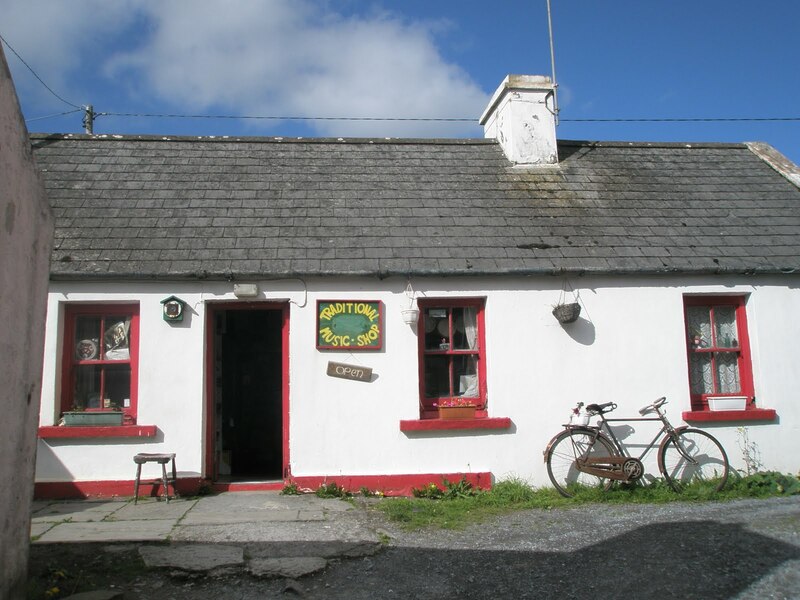 Enjoy a traditional Irish music session at a Doolin Pub. Gus O’Connor’s was established in 1832 and attracts tourists like greenheads on the beach. It’s not unusual for a line of buses to be parked along Fisher Street in downtown Doolin.Fisher Street, Doolin IrelandDowntown is a misnomer, it is essentially a short row of shops in the middle of a dale with livestock dotting the hills with a brook babbling through. Visitors stream into the establishment like seniors into a casino for a bite of pub food and a pint. The feel is instantly alive, the chatter and laughing hearty and depending on the time of day a session could be taking place. 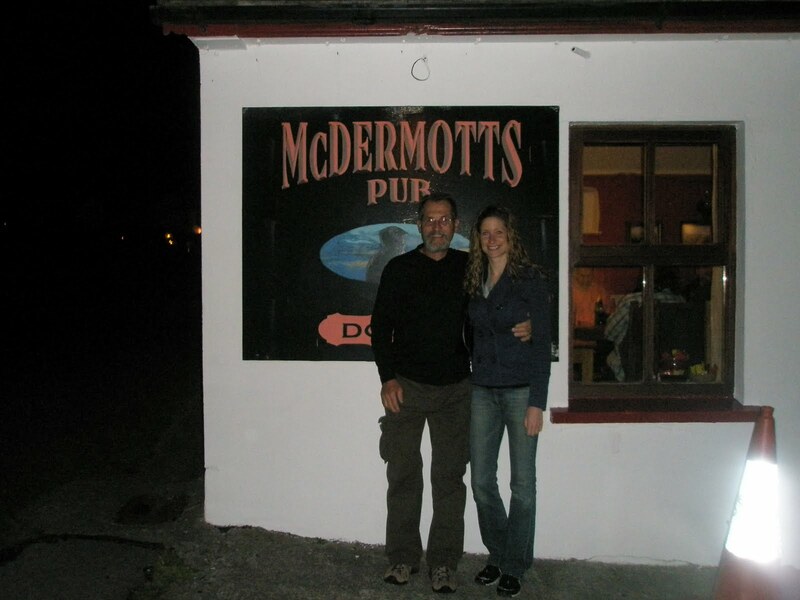 McDermott’s, founded in 1867, sits on the side of a road just past a small stone bridge over a stream. There is a homey feel from the moment you step through the door, which is confirmed a few steps up on the left of the bar where locals hang out at another bar with a fireplace in the corner. There is less likelihood of a tourist bus in the vicinity, though the pub is typically packed with patrons. 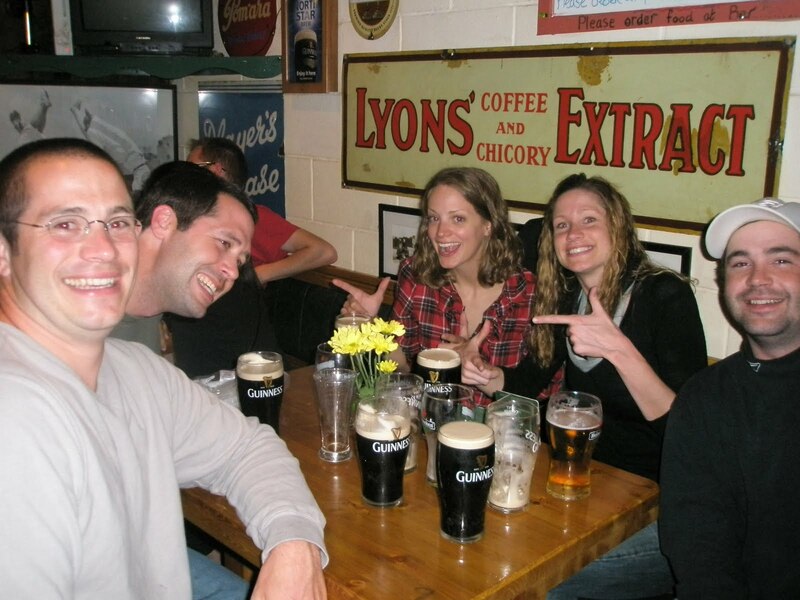 Families and friends jam the wooden booths for traditional Irish fare, and stout flows from every corner of the bar. Sessions are as likely as the other music pubs in Doolin, and just as lively. One afternoon a local whispered in my ear to head over to McGann’s for a sampling true Doolin life with no pretenses. I never pass on advice from a local and gathered the family for a walk down the hill from our rooming house to inhale the ambience and take in a pint, or two. We stumbled across an occasion that would be considered rare in most towns, but is custom in each of the music pubs in Doolin. The moment we arrived the standing-room-only crowd was already stomping their feet to the floor and hands on their thighs to a bodhran, string guitar and fiddle. I walked to the bar and ordered a Guinness and made my way around the back and up the side within feet of the session. Five hours and many pints later my family and I roared with laughter as we walked out the door with the last of the locals and meandered back up the hill to the Aran View House. It was the perfect ending to a perfect stay in Doolin, Ireland. Jim is a Philadelphia-based writer, author, poet and editor for the Schuylkill Valley Journal. 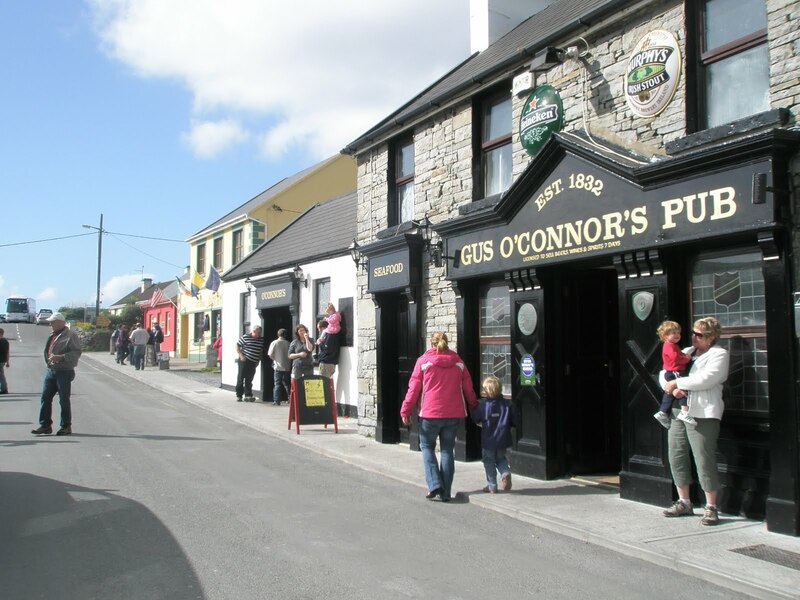 This entry was posted in Uncategorized and tagged county clare, doolin, guinness, ireland, pubs, traditional irish music. Bookmark the permalink.